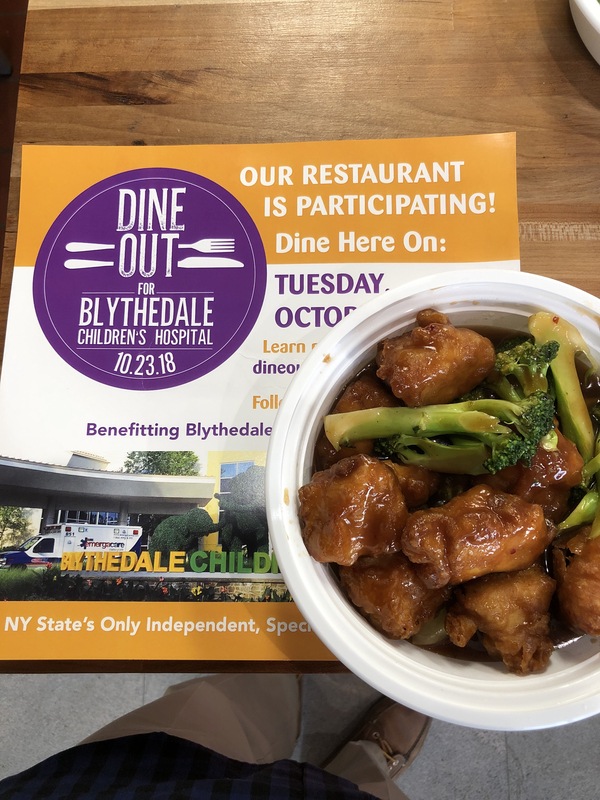 Back on October 23, hundreds of restaurants participated in Dine Out for Blythedale, donating a portion of their proceeds to Blythedale Children’s Hospital, to benefit the Hospital’s infant unit. George’s Dragon in Tuckahoe (across from Crestwood Train Station) was on our list of places to check out and was participating in Dine Out, so it was the perfect reason to visit. 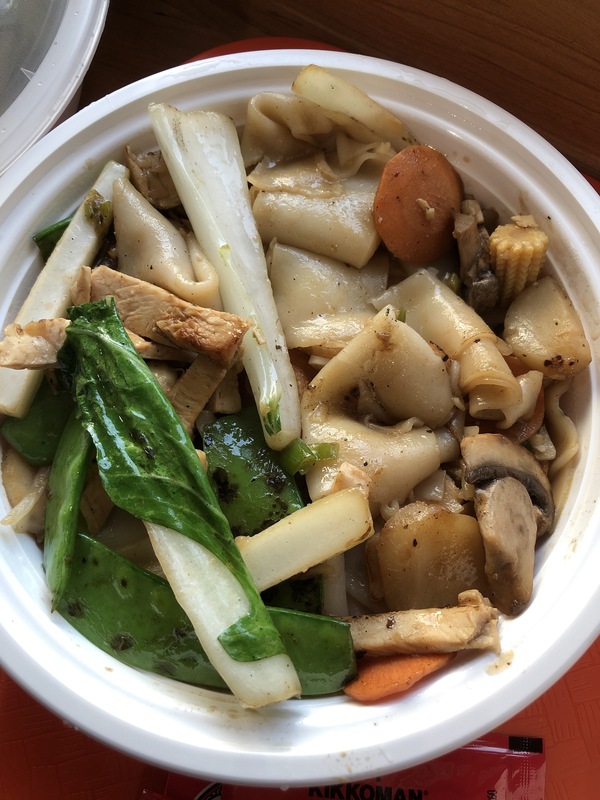 Advertised as “not your typical Chinese take-out”, the dishes were rich in flavor and very good. I’m addition to eating delicious food, we spoke briefly with owner, Alice D’Ariano, and reached out to her afterwards for an interview. Read below to learn more! FP: Please share with us the history and how the concept behind George’s Dragon came about. 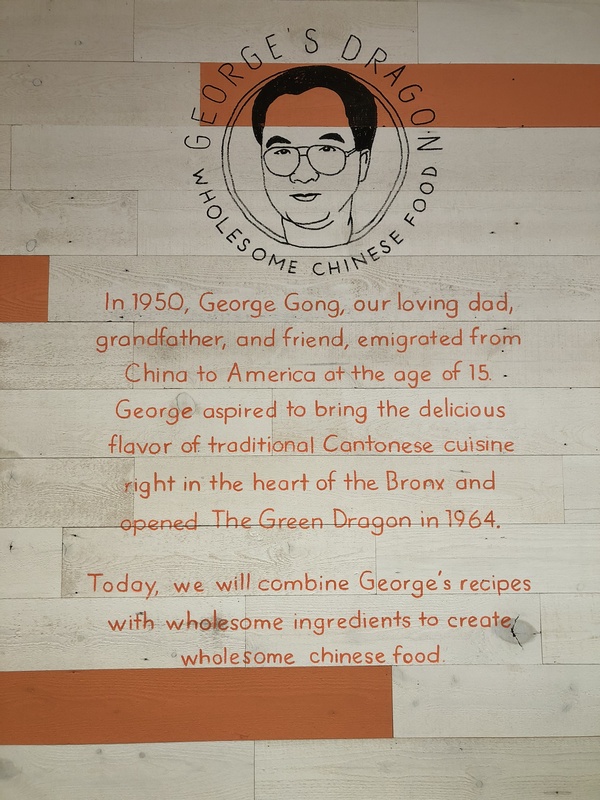 AD: My dad George had a restaurant, Green Dragon, in the Bronx for 42 years. He opened it in 1964 after working in restaurants as a young man and learned how to cook from working in the kitchen. Our first location was in Parkchester 27 years ago and then we moved to Throggs Neck where I worked with him for 15 years. He wanted to only cook and had me run the front of house of our 140-seat restaurant. The irony of me learning how to cook is that he had fallen and broke his right wrist so I went into immediate training with him directing me. My dad was always about serving top quality ingredients and took pride with all his dishes. In 2007, after my dad’s passing, it was hard to run the restaurant and raise my boys so we made the decision to give it up. But I always wanted to get back into the restaurant business. My friends told me about this spot that was vacant and my husband did a complete demolition and built this place from top to bottom with all new equipment. FP: Congrats on opening up your own restaurant! Please share with us your professional background. Did you go to culinary school? AD: I graduated from St. John’s University majoring in Communication Arts and quickly realized after working a short time in film and television, that I had to be back in the restaurant. I handled all the marketing, community events and planning for the restaurant. After selling the restaurant in 2007, I took a little time off and then worked at Whole Foods Market as a Culinary Demonstration Specialist, where I would prepare dishes and demonstrate for customers various Whole Foods Market recipes. Then I became the Vendor Relations Specialist in the Marketing Department where I worked closely with vendors and their products. Working at Whole Foods Market, I was able to take in all that I learned about not using artificial ingredients, MSG or food coloring and tried my dad’s recipes without them. The results turned out great! FP: Yes the results were delicious! 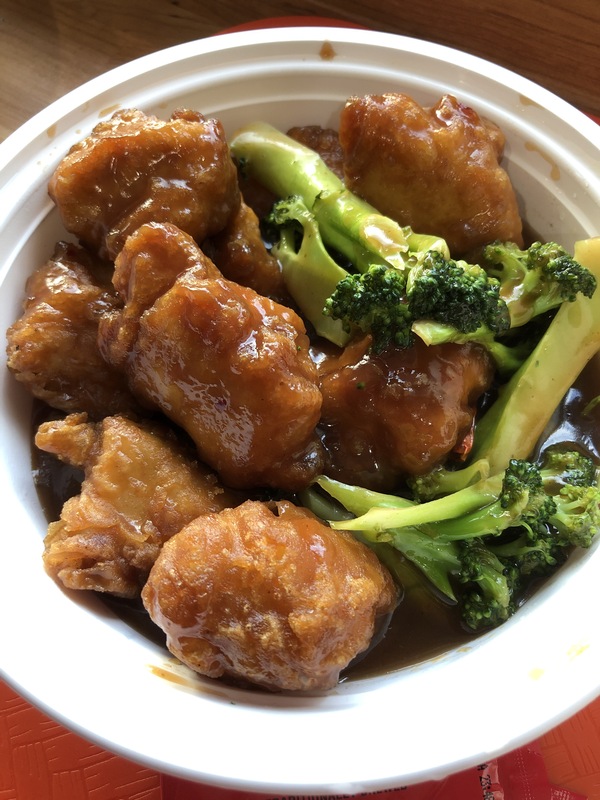 Where are some of your favorite places to eat in Westchester? Or other cities you’ve traveled? AD: I love Mexican Food so we go to Bartaco often and love the pizza at Fortina. Other places include Fig and Olive, The Smith in the city for all American food and love dim sum at Dim Sum Go Go. My younger son lives in Seattle so Din Tai Fung is our go-to place. They have about 10-15 people behind a glass room just making dumplings all day long. The soup dumplings are the best! FP: We could go for some soup dumplings right now! If you could get on a plane tomorrow and visit any place just for its food, where would it be? AD: I don’t travel much but I’d probably say Las Vegas because so many top chefs have restaurants in the casinos. AD: I would work with dogs or babies or both! I have two dogs and love dogs. I have 2 boys all grown up and miss when they were young so I’d love to be around little kids or babies! FP: What is the one item in the kitchen you can’t live without? Why? AD: My wok! It was so hard to cook at home with a non-commercial wok on a regular stovetop. Therefore, I’m loving my restaurant kitchen with four woks! I think eventually we will have to build an outdoor commercial grade wok for my home. FP: What are the three words that friends and family would use to describe you? AD: Caring. Hard Working. Sincere. AD: I’m always eating up our appetizers! Fried and steamed wontons, boneless ribs and wings. I LOVE Pizza. Also sweets such as elephant ears, donuts, mochi, cupcakes and Italian pastries. FP: Can’t go wrong with Italian pastries! Thank you for your time and we wish you continued success!